WE CLOSE IN ONE WEEK! Also, Husband has been putting the finishing touches on the new site. FIrst: If you follow me via Bloglovin or GFC you’ll soon be losing updates. My blog is now a .com so you’ll have to follow me on Bloglovin via this link: Follow my blog with Bloglovin GFC people, you’ll have to find a new place to follow all together because Google is a selfish beeotch and only allows GFC on .blogspot blogs. Second: I have a brand spankin new button for you to grab! See it? Over there on the sidebar? Cute right? Take it with you, replace my old and not as cute one. Third: I created a ‘House Tours’ link at the top of the page. This house will be our 3rd residence since I started this blog. All 3 of the spaces can be perused from that link. SO MUCH EASIER! Well I think that’s it for now. Thanks for being patient during the switch over to WordPress. It was a huge pain but I’m so glad I decided to do it. I’m off to pack more boxes. 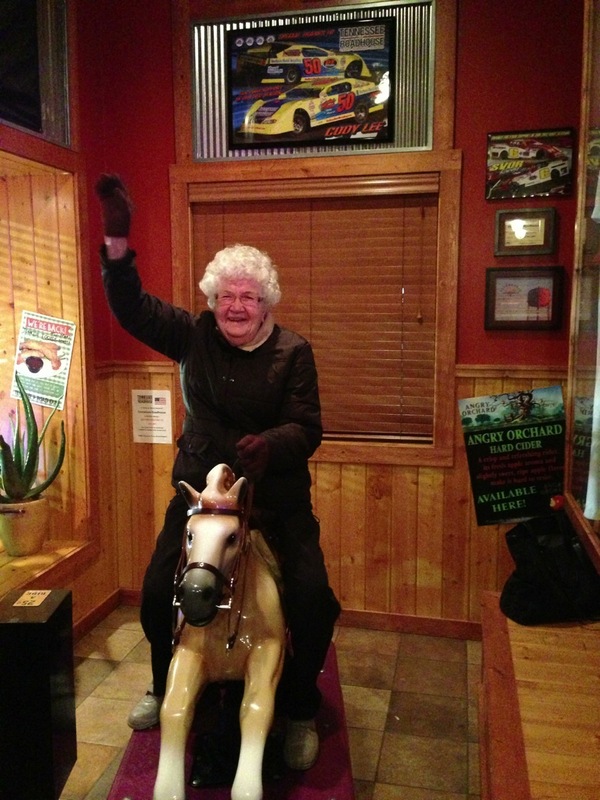 Husband’s grandma on her 90th Birthday. Obviously, she’s amazing.